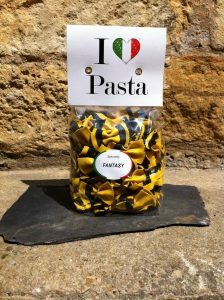 Squid Ink Tagliatelle are uniquely attractive artisanal pasta. Colors are all natural. 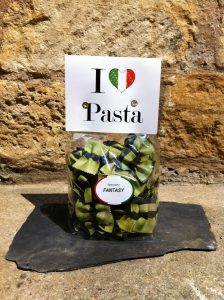 The black is natural squid ink that is added in a special process to traditional bowtie shaped pastas. 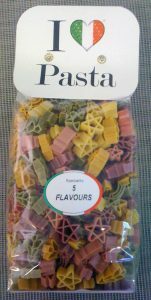 Christmas Stars are uniquely attractive artisanal pasta. Colors are all natural. 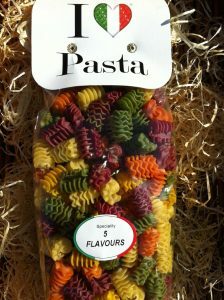 This 5 Colours Pasta is an uniquely attractive artisanal pasta. 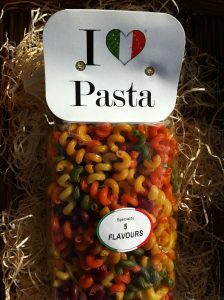 Cavatappi 5 Colours are uniquely attractive artisanal pasta. Colors are all natural. 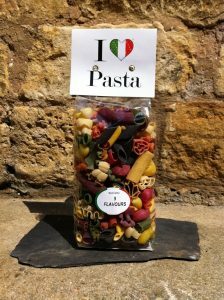 The red colour, typical of the Barolo, distinguish a successful union of flavour and aroma for an excellent pasta that represents Piedmont.